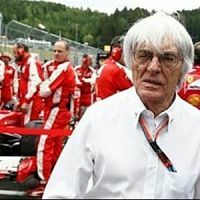 Bernie Ecclestone (born 28 October 1930) is one of the most well known faces in all of motorsports, and he isn’t even a successful driver. That’s because Bernie literally holds the keys to the world’s most popular motorsport. But beyond that, Bernie is a sexist, greedy troll that will do nearly anything to bolster his own pockets and could care less about the tradition of Formula One. 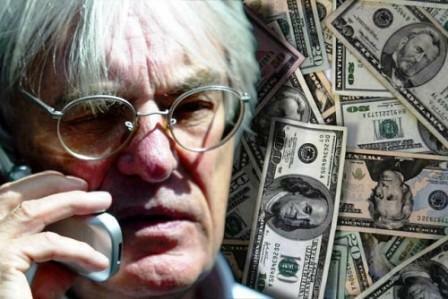 Ecclestone has been making money off his friends since he was a young child. Bernie is the son of a fisherman, so he wasn’t exactly born rich. He’s worked hard for his money his entire life. In grade school, he apparently would work two paper routes, and then use that money to buy buns which he’d then sell to schoolmates at a profit. Play time doesn’t seem like it was ever a thing for Bernie. He had one motivation, and that motivation was money. The pick-yourself-up-by-your-bootstraps storyline would actually be a compelling one if it didn’t end with him becoming a sort of unrepentant Scrooge McDuck. AS WELL as being head of one of the UK’s most glamorous families, he has a huge yacht and a private jet on which the frugal billionaire feeds passengers on bags of Hula Hoops.